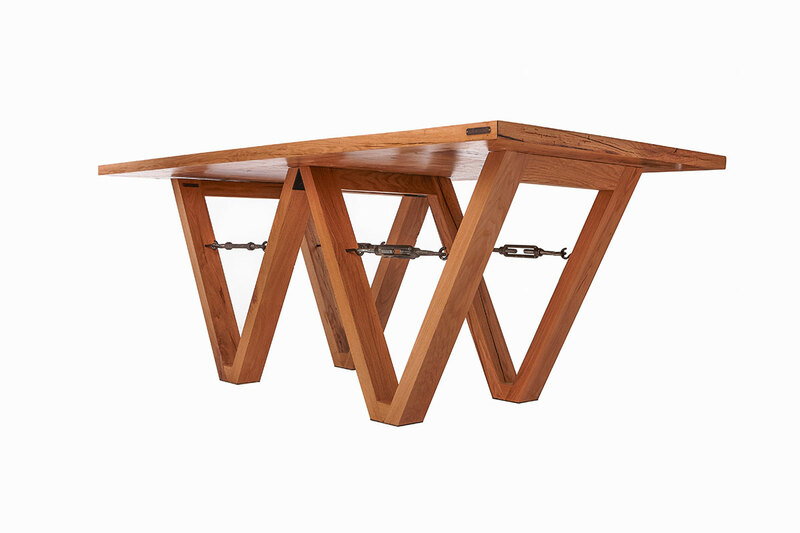 An original and comfortable dining table is the heart of the whole house, as the loved ones, family and friends gather by it. 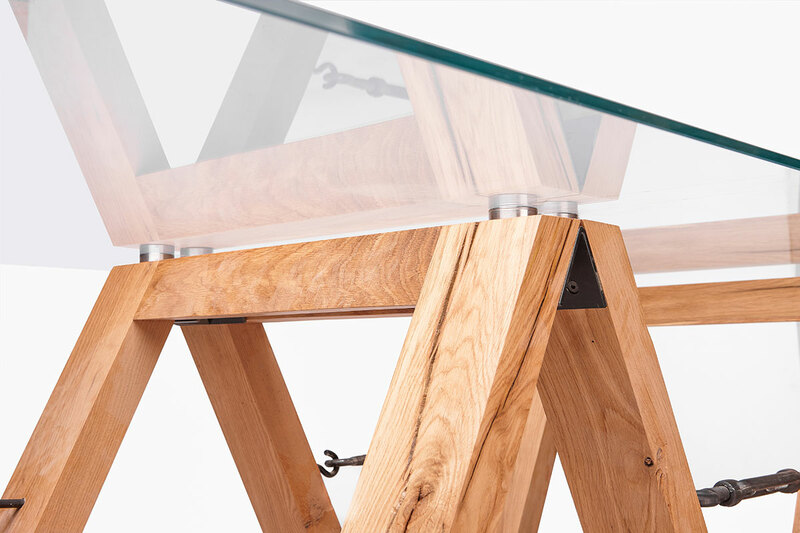 And, moreover, ifit is as spectacular and charismatic as Wola Dining Table, the brightness of the interior of the living room or dining room is guaranteed! 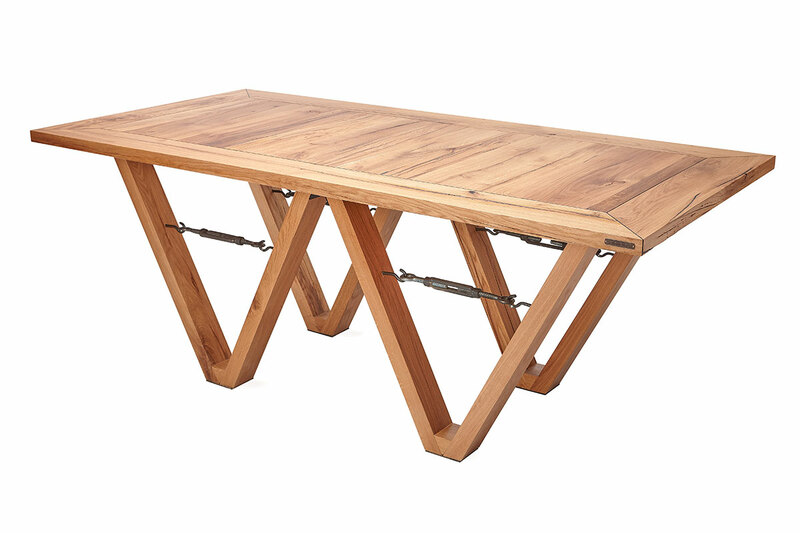 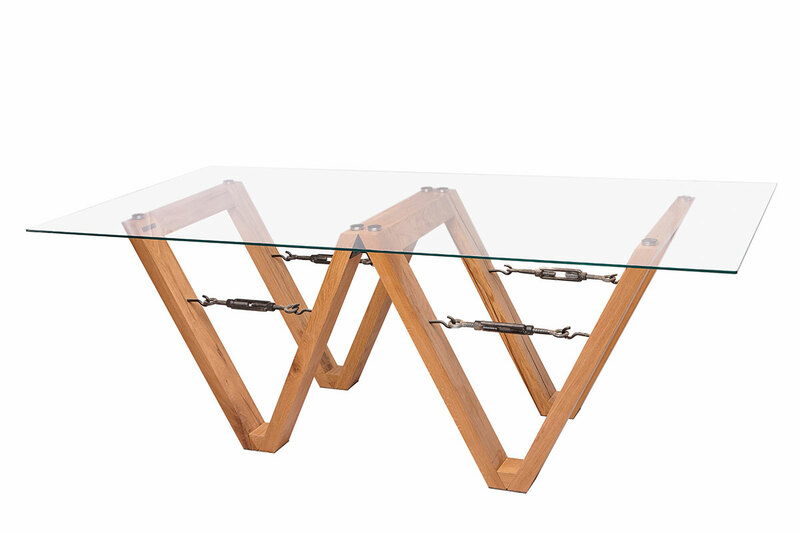 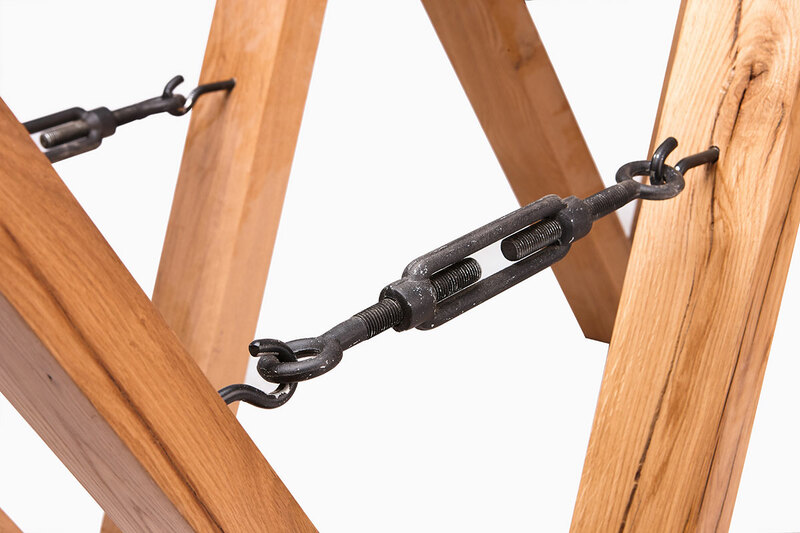 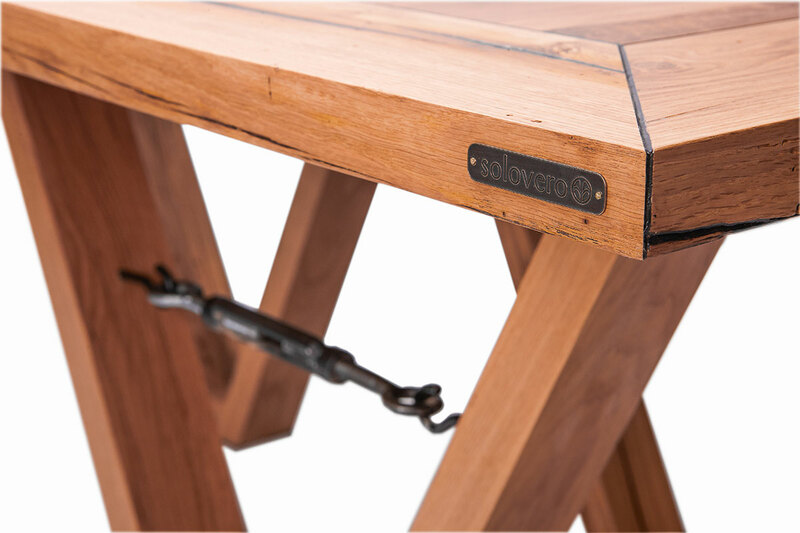 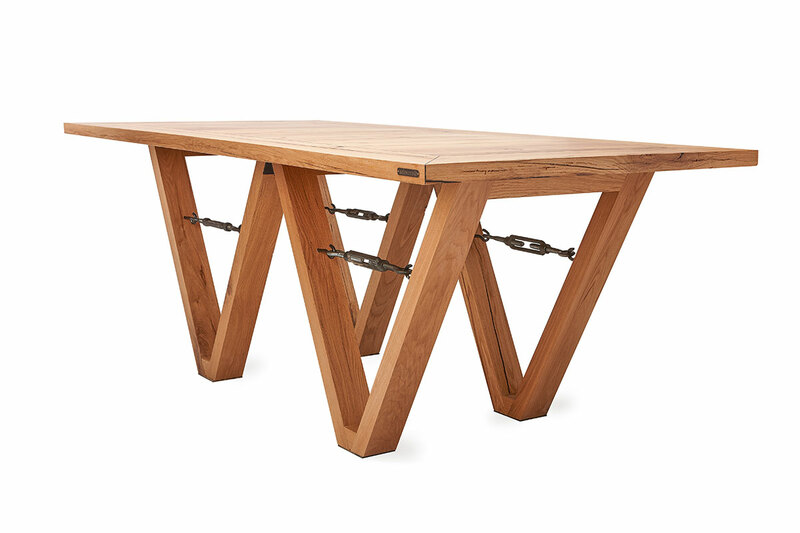 The table base is very unusual and is made of vintage oak in a Wshape, supplemented with metal fasteners in the spirit of industrial style. 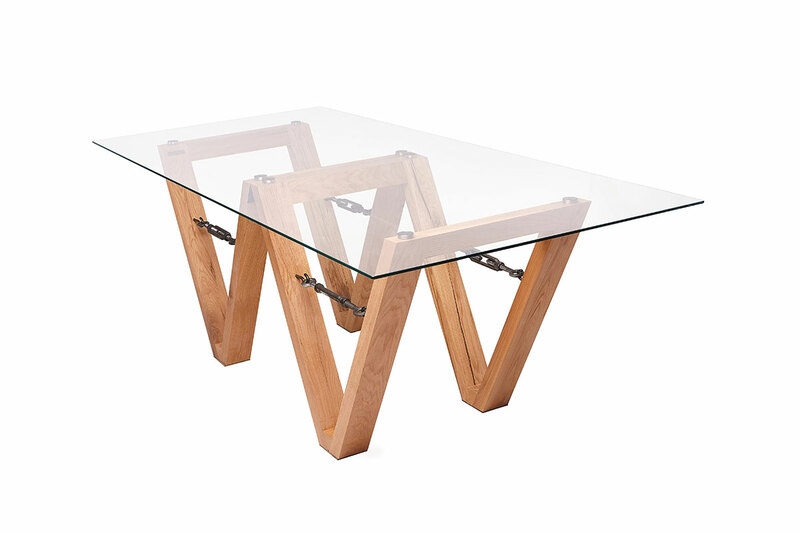 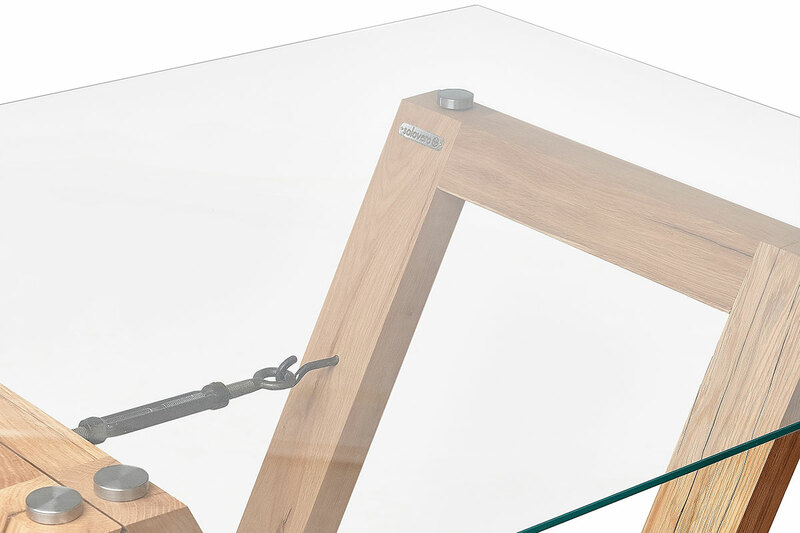 The tabletop can be made in two versions (at the customer’s choice): of vintage oak covered with transparent matte varnish, or of 8 mm thick transparent tempered glass. 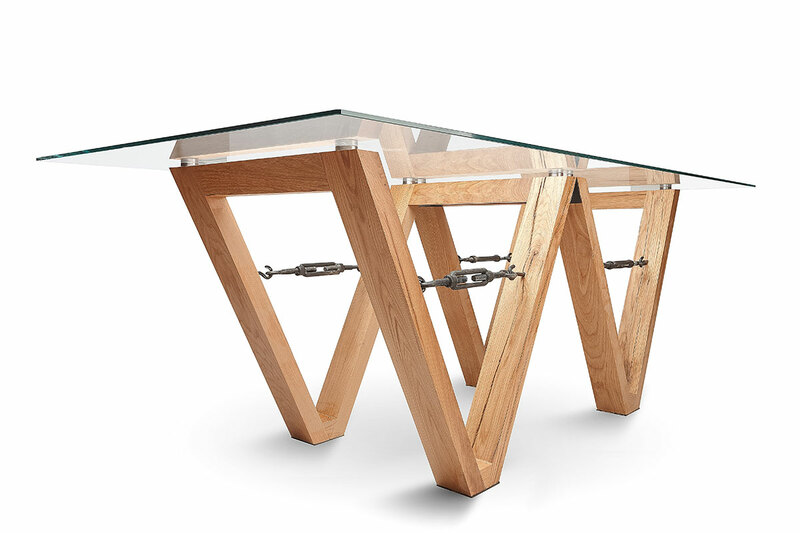 The dimensions of the table are 2100x1000x750 mm.